Polymer buyers have been largely in a waiting stance in major markets in the midst of a falling trend for most products, as per the pricing service of ChemOrbis. This slowdown has been exacerbated by the upcoming holidays both in India and Turkey. Sellers in these countries have delayed their expectations about a revival in demand to the post holiday period. In India, the markets will be closed on October 24 for a public holiday, Dussehra. On the same day, Turkish players will be sidelined from the market as it coincides with the eve of a religious holiday, Eid Al-Adha. The next four days will be followed by a festival, which also bridges with another national holiday on October 29. Some Muslim players are also expected to be out of the market in India next week due to the holiday. Later in November, India will have another long public holiday, Diwali, which is one of biggest festivals in the country. It will start on November 13 and last for five days. Local prices have been eroding since the beginning of October in India with PP raffia prices losing INR6400-6900/ton ($122-131/ton) and HDPE film prices by INR4000-6000/ton ($76-114/ton). Local PVC prices have also slumped by INR4000-7760/ton ($76-147/ton) while import PVC k67 prices for regular origins have come down by $50/ton on average within the same timeframe. On the sellers’ side, there is a prevalent expectation that trading activities will be better when players return to their desks after the holiday period. 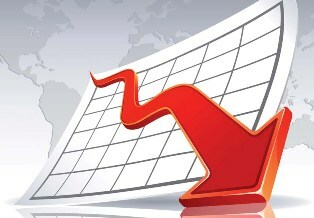 “Most buyers have delayed their purchases in anticipation of further decreases. There must be some demand following the end of the holiday from these buyers,” comment several traders. In Turkey, import PP prices have recorded a $45/ton decrease on average while PVC k67 has fallen by $65/ton and HDPE film by $25/ton on average since the beginning of October, according to ChemOrbis Price Index. In the local markets, PP and PVC have seen decreases of up to $40-50/ton on average in the last three weeks while average LDPE prices have lost more than $80/ton.